In a dramatic turn of events as covered here in Federal Judge resigns from National Commission on Forensic Science and The Jed Rakoff and Matt Redle, co-chairs, Subcommittee on Reporting and Testimony Memo, US Senior District Judge Jed Rakoff resigned in protest from the National Commission on Forensic Science over the DOJ veto wielded by James Cole (DAG) to promptly end all discussion on the broken discovery system in America when it comes to criminal law and in forensic science. Today, after the DOJ re-evaluated its position and announced that it would no longer veto talks on discovery in the National Commission on Forensic Science, Judge Rakoff has rejoined the commission. It is sad to see the tremendous amount of power that the DOJ has over this discussion. Even though DOJ ultimately withdrew its objection, it makes many wonder about how truly transparent, open and balanced any discussions are. If it takes the resignation of a federal judge to have DOJ listen what hope does another commissioner have? A federal judge Friday returned to a presidential commission on forensic science after the U.S. Justice Department reversed a decision to bar the panel from discussing changes that would give criminal defendants more information about forensic evidence before their trials, a federal official said. However, Acting U.S. Deputy Attorney General Sally Q. Yates invited Rakoff to return, saying she had not been aware the commission had worked openly on its plans for nearly a year. A Justice Department official said the initial decision that pretrial evidence discovery rules were beyond the commission’s scope was made by Yates’s predecessor, James Cole, before his departure Jan. 8. The official, who spoke anonymously because he was not authorized to discuss the issue publicly, added that Yates may not agree with the panel’s suggestions. Prosecutors routinely share evidence with defense lawyers, but Rakoff and other commissioners propose that criminal defendants be allowed the same access before trial to government forensic evidence as defendants in federal civil court cases. In an e-mail to colleagues, Rakoff wrote that it is only through disclosure of scientific results and methods “that forensic science can be meaningfully scrutinized in any specific case” and that “trial by ambush” can be avoided. 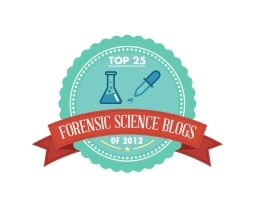 The panel began work last year in response to growing criticism by scientists and many legal experts about the quality of forensic evidence used in criminal cases. Citing lab scandals and exonerations, critics have said that police and prosecutors exercise too much control over crime labs, which suffer from weak standards over research, testimony and examinations. The commission is preparing recommendations for Attorney General Eric H. Holder Jr. or his nominated successor, Loretta Lynch.